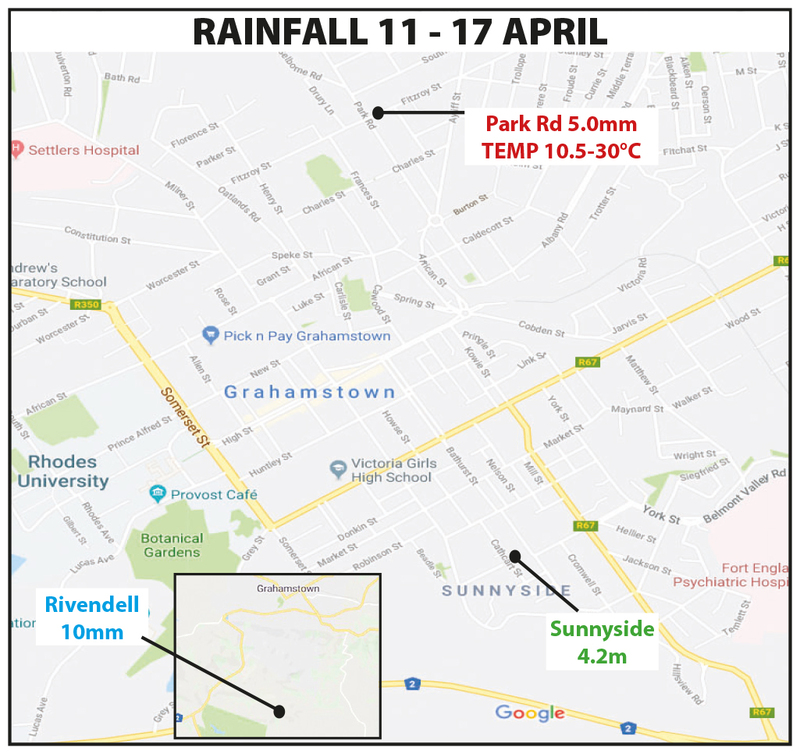 The community in Vukani, Makhanda (Grahamstown) is struggling with the effects of the water crisis that has hit the Eastern Cape in recent months. Vukani had been without water since Thursday 7 February, until a water truck arrived on Saturday 9 February. This truck drew a large crowd, which queued up to receive the water. 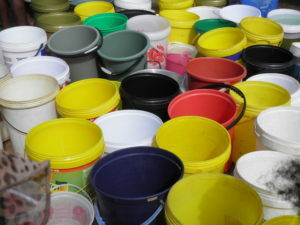 Thembakazi Seyisi, ward councillor for Ward 13, and Mzukisi Mali, Chairperson of the Ward 13 committee, were assisting the community to fill their buckets of water, in the middle of an open field in Vukani. 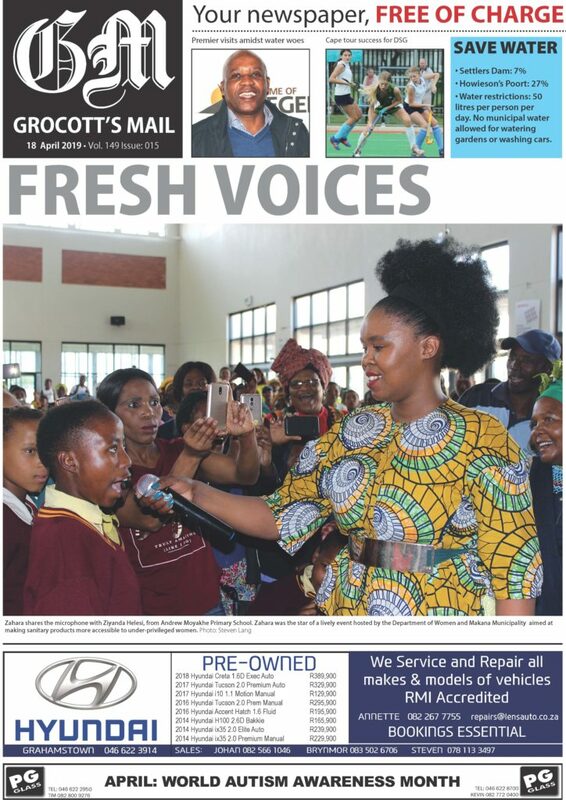 On Sunday 12 February, Grocott’s Mail visited the people of KwaHatsi, a farm just outside of Vukani, and asked them how they cope with the water issues. 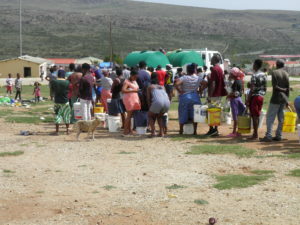 Nobengazi Ntlokwana, a mother with a nine-year-old daughter, told Grocott’s Mail that the truck that delivers the water does not come to their place of residence; in order for her to get water, she has to get it at her work. Even when she does get water from work, it is not a lot. Kimberley Ntlokwana, a grandfather living in KwaHatsi, who is unable to fetch water for himself and his wife, spoke to Grocott’s Mail. He stated that they don’t have water in his home, and that his wife had to ask for water from those who are close to the road. 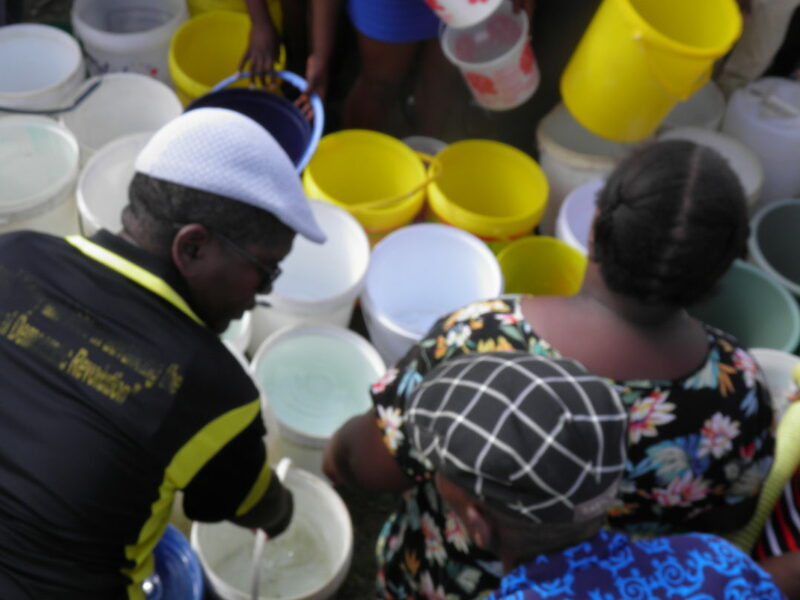 They had asked those who managed to get the water from the truck if they would be able to share with them. 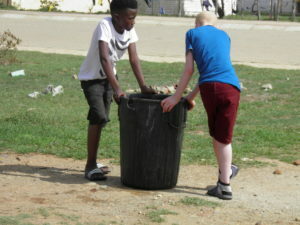 Ntlokwana does not have any hope for where is he going to get more water when he needs it. Seyisi understood the pain of some of the residents. “I am unaware that I have to bring the water door to door. The truck was in the field where most of the things takes place at. I have brought the truck high up nearly to the farm at the upper side,” said Seyisi.